There are few things more devastating than losing your home. If you have accumulated overwhelming debt, it can seem like an impossible situation. But there are solutions, contact us. Homeownership has long been considered the American Dream. But it can quickly turn into a nightmare when faced with a foreclosure. The sad reality is it can happen to anyone. The loss of a job, a divorce or mounting medical bills can place anyone in a difficult financial position. Once you fall deeper into debt, it can seem almost impossible to make your mortgage payments. Unfortunately, there are countless homeowners in Salt Lake City in the dire predicament of losing their home. For many, desperate times can bring desperate measures. Although it can be easy to panic, there are viable solutions. The first step, is to seek advice from an experienced and knowledgeable foreclosure defense attorney. Your attorney can provide a number of viable options to help resolve your mortgage issues. One of the most effective is to apply for a loan modification. Federal and state laws prohibit lenders from proceeding with the foreclosure process during a loan modification review. It also gives homeowners the opportunity to buy some extra time. During the loan modification process, the lender will seek to adjust the terms of your home loan. The ideal results are lower payments and a more affordable mortgage. A foreclosure defense attorney can help clients enroll in an appropriate Making Home Affordable Program (MHA). These government programs are designed to help lower monthly payments or find alternative methods out of your present mortgage loan. Because loan modifications require significant documentation, it is best to have a foreclosure defense attorney to provide assistance. 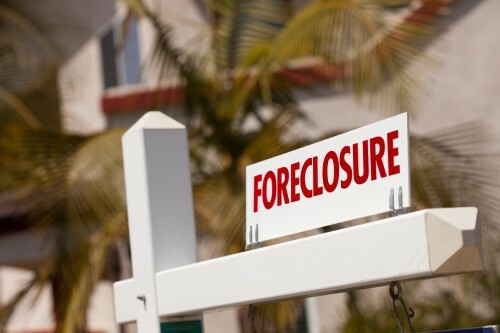 Another effective solution to stop a foreclosure is to file for bankruptcy. Depending on your income or ability to pay off your debt, you may be eligible for either Chapter 7 or Chapter 13 bankruptcy.Once a homeowner files for bankruptcy, lenders are required to stop the foreclosure process. The lender can make an appeal to the court. However, it could take one to two months. Many who struggle with crippling debt have few options. If you have long term financial problems and there is little hope of keeping your home, you may want to apply for short sale with your lender. Keep in mind, this option is only viable if owe more than your home is worth. Before you can begin the process, a short sale must be approved by the lender. To get approved, homeowners must prove their income is too low to afford their current mortgage or they are subjected to a mandatory job relocation. There are few things more devastating than losing your home. If you have accumulated overwhelming debt, it can seem like an impossible situation. But there are solutions. Over the years, Salt Lake City foreclosure attorney Justin M. Myers has helped protect the rights of homeowners by providing effective debt relief solutions. He and his legal staff utilize an aggressive and comprehensive approach to help place homeowners in the best position to succeed. To learn more, contact his Salt Lake City law office today and schedule a free initial consultation to discuss your case.